As a whole, we are made up of 70% water. Water regulates every function in our bodies. Water flushes out waste and toxins. It also transports all the necessary nutrients we need to look and feel good. It flushes out impurities in the skin; when skin cells are hydrated, they plump up to give you a good complexion. Also, muscles that are hydrated look more toned because they are made of 70% water. Not drinking enough water is similar to depriving that less-than-vibrant plant you water every few weeks. The plant will survive, but at what expense. There are so many aches and pains that most people attribute to being old, sick or tired that are probably just a case of dehydration. Even a lack of concentration and focus can be attributed to a lack of water. It only makes sense, considering our brains are made up of 90% water. Those nagging headaches we often get, that most people shrug off as part of life, can also just be a case of dehydration. What about those painful joints that we complain about? Water works as a lubricant: When we're hydrated, the two opposing surfaces (for example, the femur and the tibia at the knee) will glide freely, causing less pain. 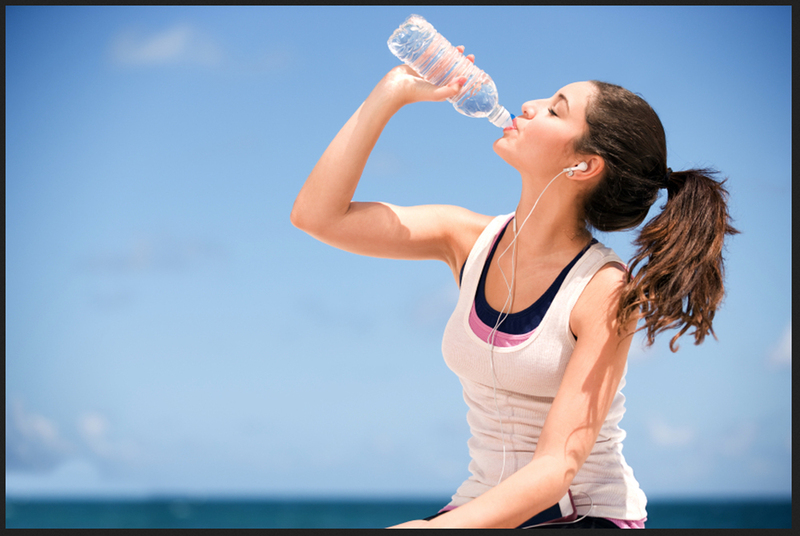 Since water is so good for so many things, doesn't it just make sense to make sure you're well-hydrated at all times? BECKY HAND has more than 25 years of nutrition experience in hospital and community settings. She is passionate about improving the health and wellness of people in her rural community as well as the lives of people throughout the world via SparkPeople. A licensed and registered dietitian with a certificate in weight management from the American Dietetic Association, she also teaches weight-management classes for children and adults, conducts cooking classes and food demonstrations, and assists school districts in implementing wellness policies. Read her informative health articles on the Huffington Post.